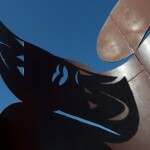 The Trail is a large curvilinear iron sculpture with holes of different patterns on the surface. 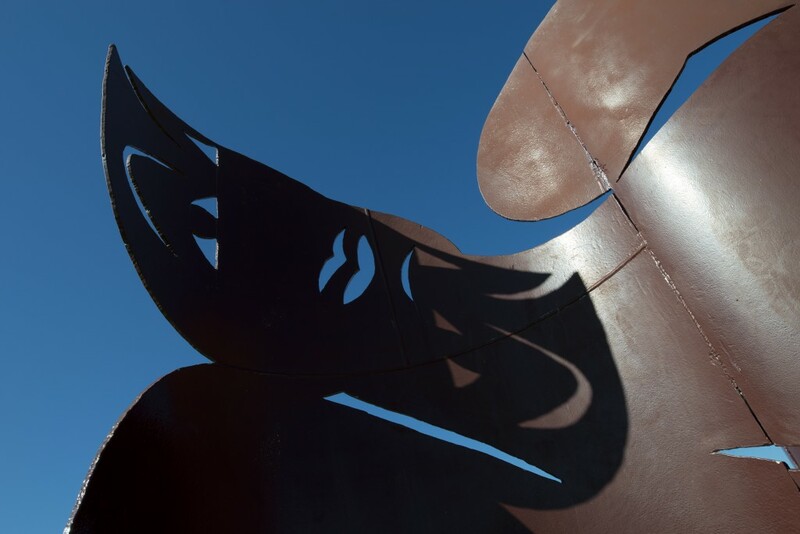 The sculpture appears to one large piece of rusted iron which folds and turns along one linear axis, giving all the folded components the same dimension and surface area. 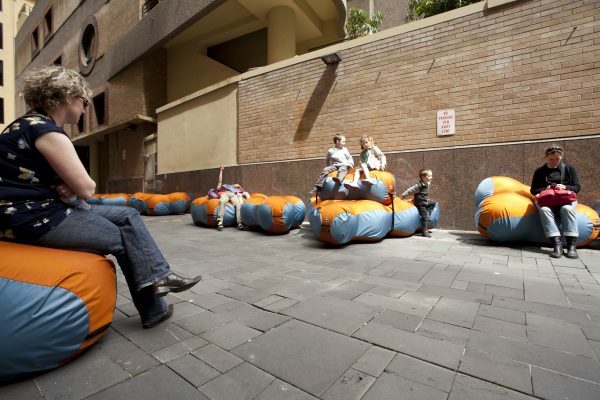 The holes are different patterns on each of the folded components giving each surface a different spatial quality. 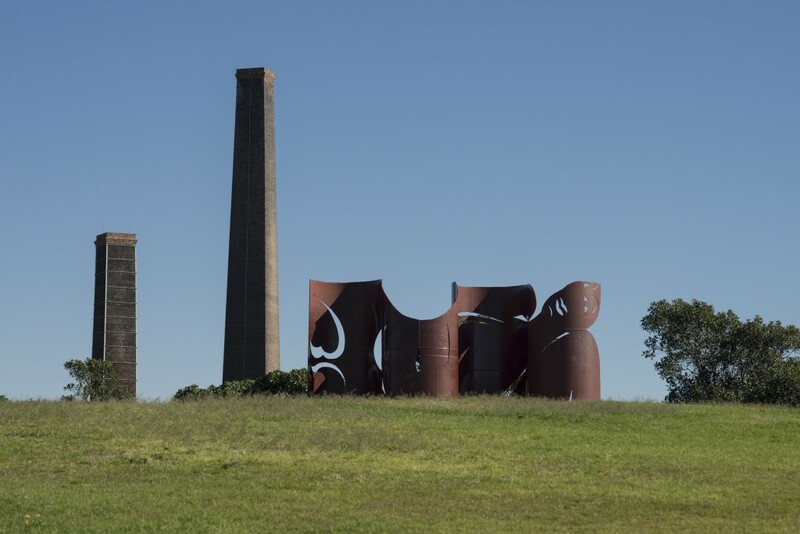 The holes make the heavy solid structure appear more porous and light, while simultaneously framing different sections of the park by acting as viewing windows. 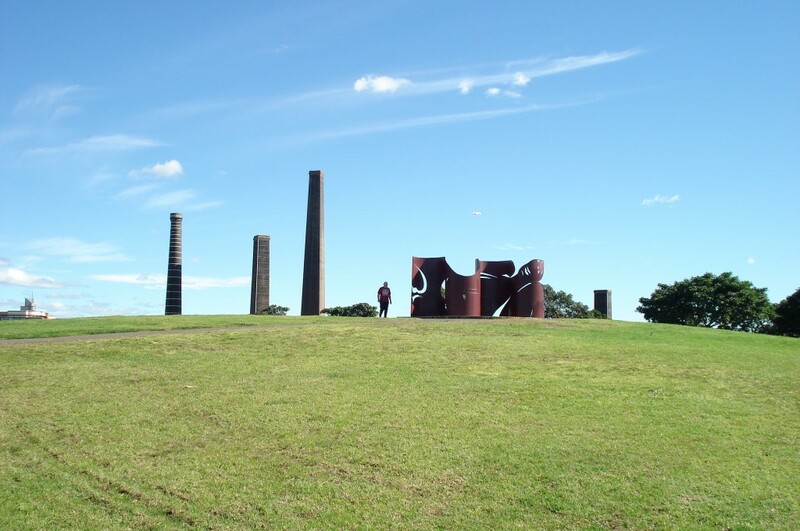 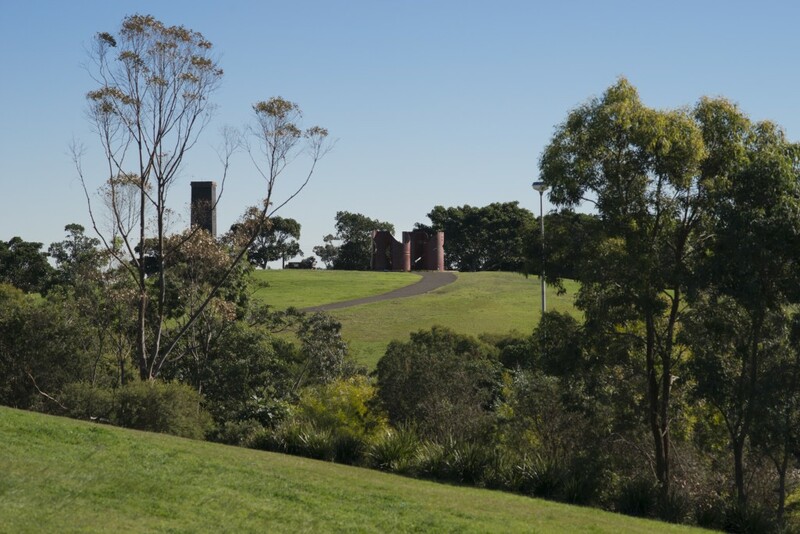 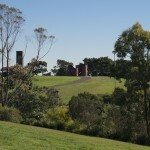 Located on a hill in the middle of Sydney Park, the sculpture sits on a circular raised platform. 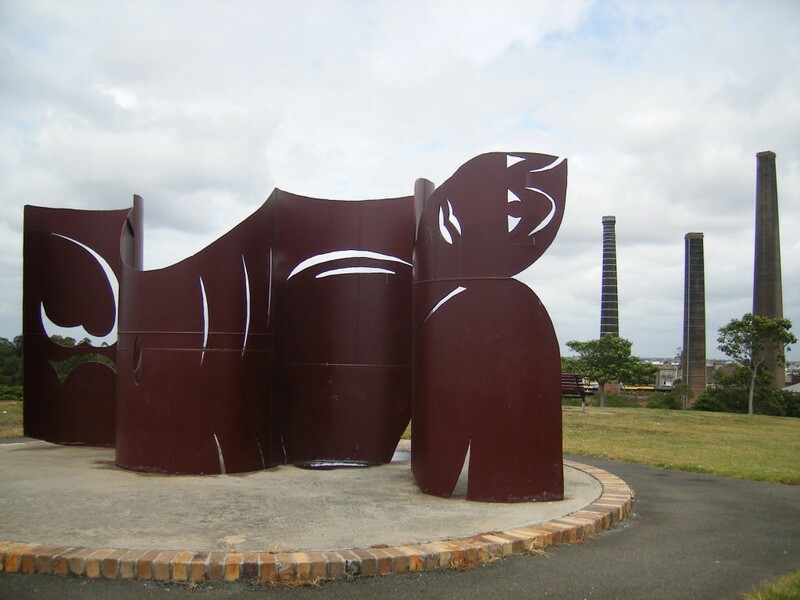 This abstract sculpture acts as a focal point within the park. 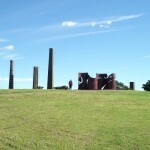 The holes frame various views of the park surrounding the sculpture. 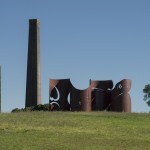 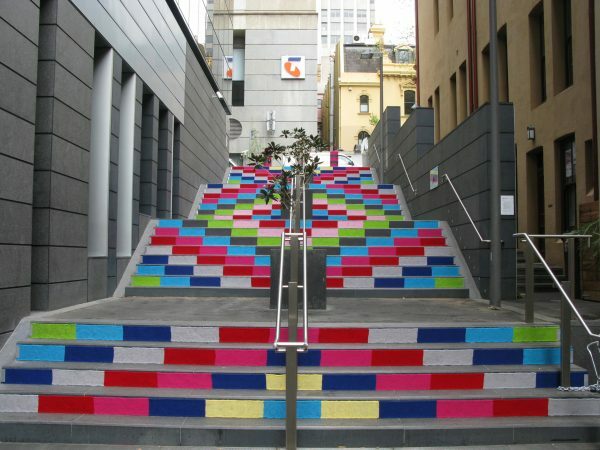 The artwork was unveiled in 1990. 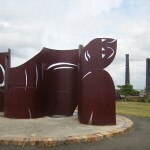 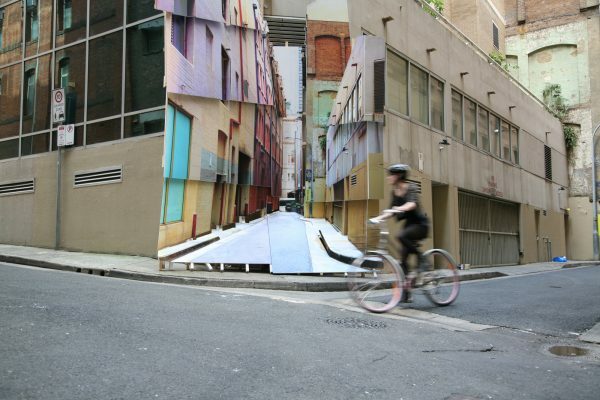 Australian sculptor Michael Snape created the artwork. 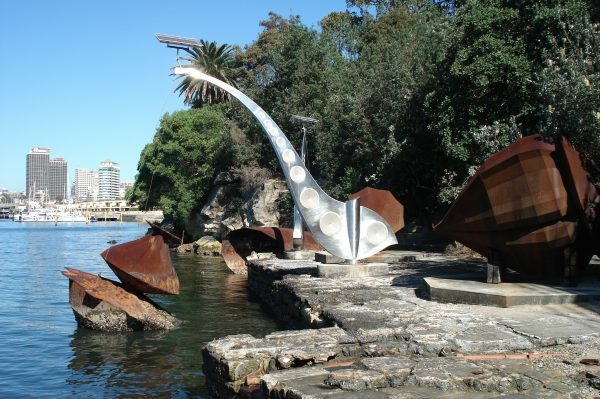 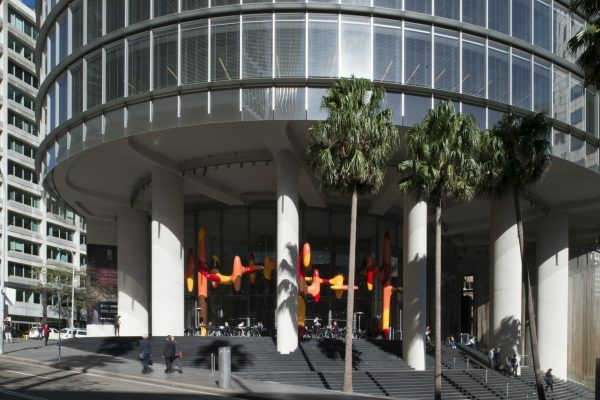 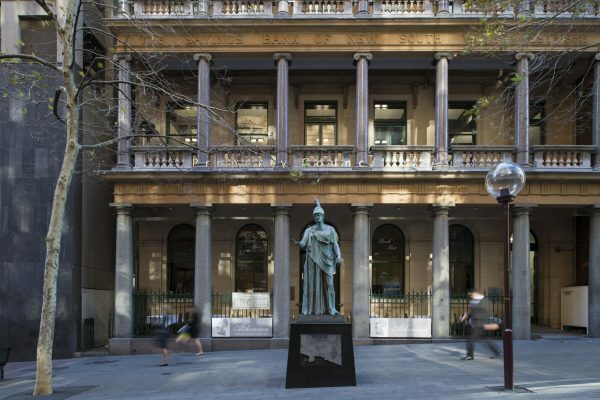 Snape has produced many public sculptures in NSW and collections of his work are held at the Art Gallery of NSW, Macquarie University, Wollongong Art Gallery, the Powerhouse Museum, Armidale Regional Gallery and the Gold Coast City Gallery.